Today, more than ever, people are evaluating their nutrition as well as that of their pets. Probiotics are a hot topic, and many feel they can be helpful in the resolution of gastrointestinal issues and possibly skin and immune conditions. The internationally accepted definition of probiotics states that probiotics are living microorganisms and, when administered in adequate amounts, can confer a health benefit on the host. Probiotics are considered ‘good’ bacteria. Given that the gastrointestinal tract (GIT) houses millions of bacteria, including Lactobacillus, Enterococcus and Bifidobacterium, and is thought to be the largest immune system in the body, it seems logical to supplement the GIT with good bacteria when there may be an abundance of bad bacteria. Probiotics also may be recommended to regularly supplement the body if needed. The most common reasons the bacteria could be out of balance include infectious diseases, stress, parasites, medications, dietary change and/or indiscretiontendency of certain animal of eating unusual items. 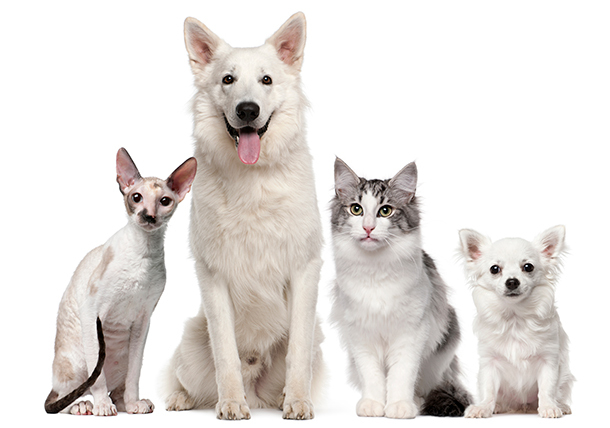 There is growing evidence that quality probiotics play an important role in the overall health of pets. Please note they are not indicated in every situation and cannot be expected to cure every problem. Veterinarians will sometimes use a probiotic along with an antibiotic to help restore GIT bacteria. There also may be times when an issue will resolve with probiotics alone, which may help reduce the use of antibiotics and decrease the development of antibiotic-resistant bacteria. There are a number of probiotics on the market, but not all products are created equal, therefore it is important to speak with your veterinarian about which probiotic is best for your pet. Probiotics come in numerous forms, including capsules, powders and chews. Key differences to consider include the different strains and number of bacteria available, verified number of live organisms per dose, quality control and ease of administration/palatability for your pet. The response to probiotics is specific to each patient and situation. Probiotics are typically considered safe without any restrictions. However, there are situations in which probiotics may be discouraged, thus communication with your veterinarian is crucial. It is always recommended to get approval from your veterinarian before making changes to your beloved pet’s nutrition program. Crystal Coleman, DVM, is a graduate of Ross University who lives in Hico, Texas. Dr. Coleman practices at The Veterinary Clinic at Hico.